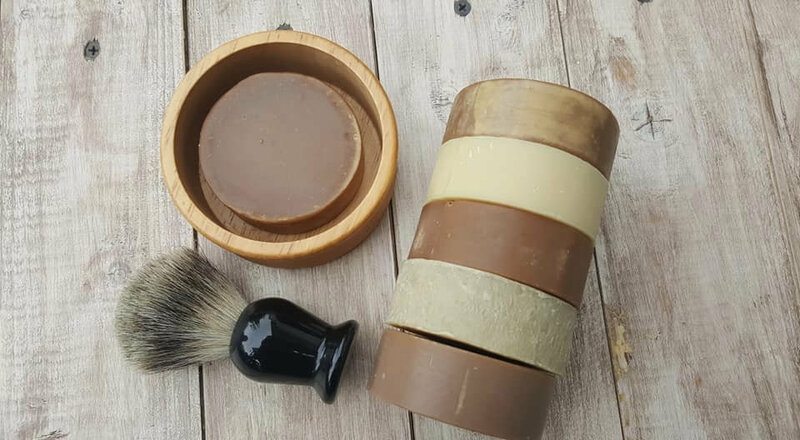 Looking to expand your soaps to include a line of men's soaps but don't have the time to figure out which scents to use and make them? Want the quality of a genuine, handmade product convenient and ready to ship to you for sale? 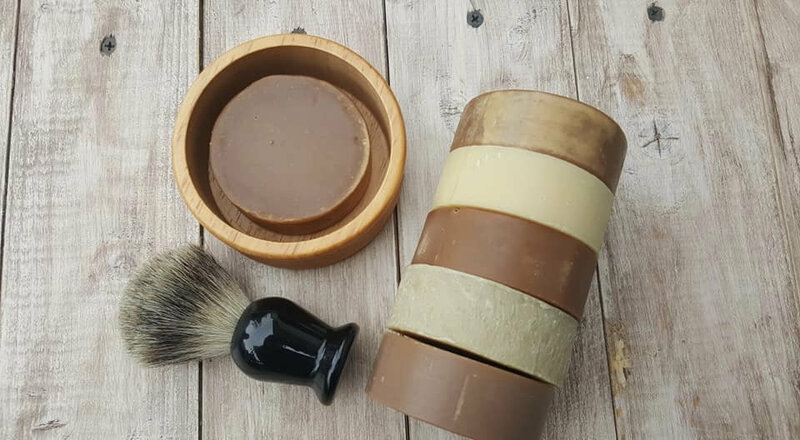 High quality round beer soaps marketable as either mens wet shaving or body soaps. 60 BARS: 12 EACH OF OUR 5 SCENTS. $173.40 at $2.89 per bar. These scents are tried & true sellers, loved by both men and women. Olive oil, coconut oil, palm oil, craft beer, distilled water, sodium hydroxide, grape seed oil, high-quality phthalate free fragrances. May contain hops & alfalfa powder (Blue spruce scent only). 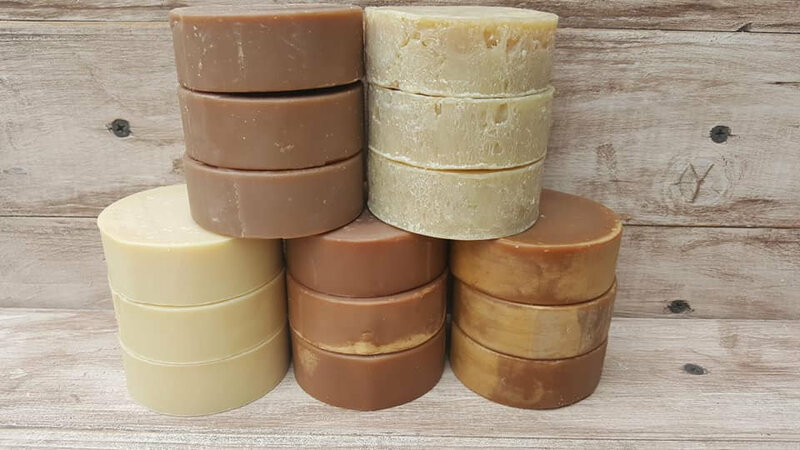 All soaps are cold process except for the blue spruce scent (hot process). 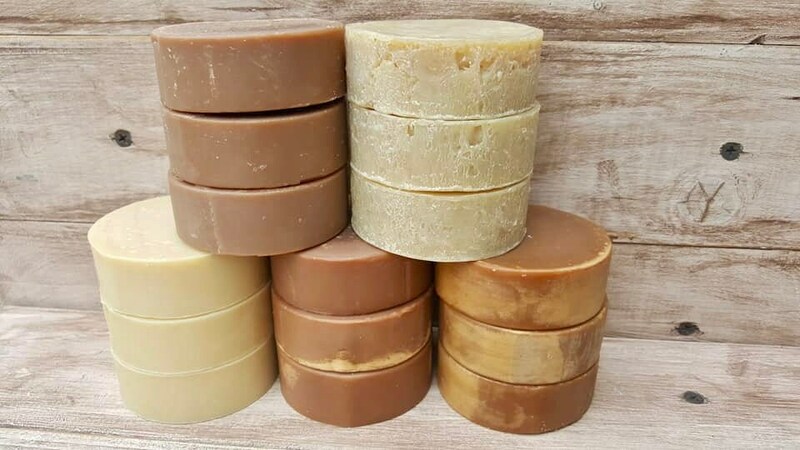 Thoughtfully crafted with the finest craft beers and oils for a quality soap product. Soap bundles will be wrapped & labeled with the corresponding scent & batch numbers. Shipped Priority mail to U.S. addresses only.